Wow! 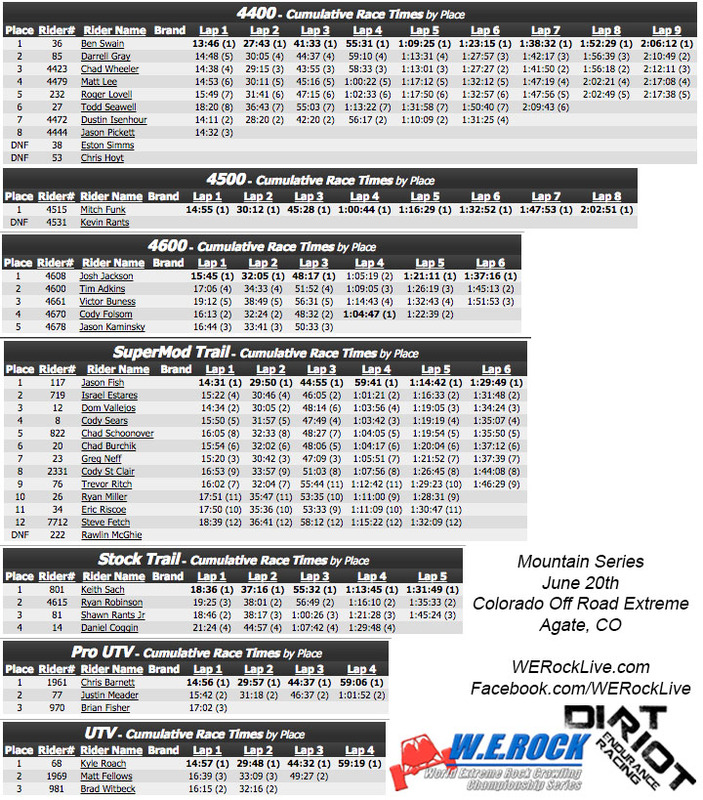 Check out the finishing times on these races! 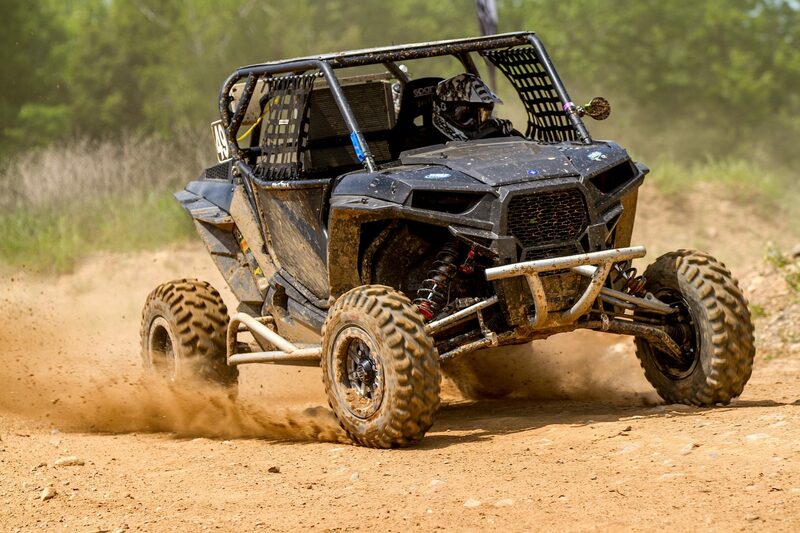 The top 5 of the Pro 4400 4×4 class were all within a 10 minute gap, with 4th and 5th splitting by only 30 seconds! Similarly in the Super Mod Class, the top 9 were all sitting within 16 minutes, with some very close battles! It’s been rumored that some of the drivers were hitting top speeds of over 100mph! The second round of the Mountain Dirt Riot series has had a location change. 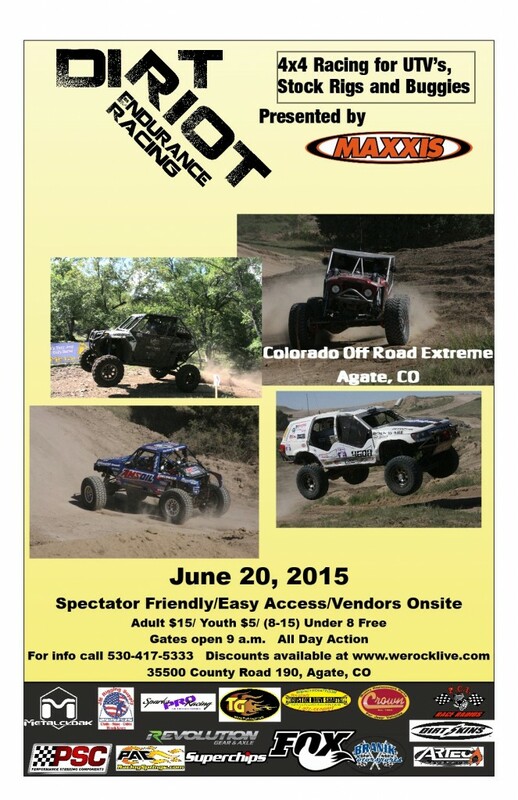 The race will now be hosted at Colorado Off Road Extreme, with Ray from RAM Offroad Parks blessings. The county is currently in the process of renewing their permit, but fears that they will not be done in time for race day. Instead of making a last minute change, we are all being proactive in making this transition. Colorado Off Road Extreme is a milder track, made up of lots of desert sections, so should be very fast. BLACKFOOT, ID JUNE 17, 2015: Incorporating a location change into the schedule to the Colorado Off Road Extreme Park in Agate, Colorado for the second round of the Dirt Riot Mountain Series Round 2 has also added a lot of fast terrain to the otherwise rocky courses. Conveniently located east of Denver and west of Limon, Colorado, racing will start at 9am on Saturday June 20th with multiple classes of racing until approximately 4:30pm when the top 3 drivers in each class will be awarded trophies and cash winnings. The winners of each race is determined by the most number of laps completed in a set amount of time. Pro class qualifying will be at 5:00pm on Friday night.